We are offering muffle furnace is made of thick mild steel sheet reinforced with iron angles, riveted at joints. The heating elements of muffle furnace offered by us is made of kanthal wire wound externally on the muffle and embedded in the best quality high temperature embedding cement. The maximum temperature of our muffle furnace is upto 1000oc, working temperature 900oc. 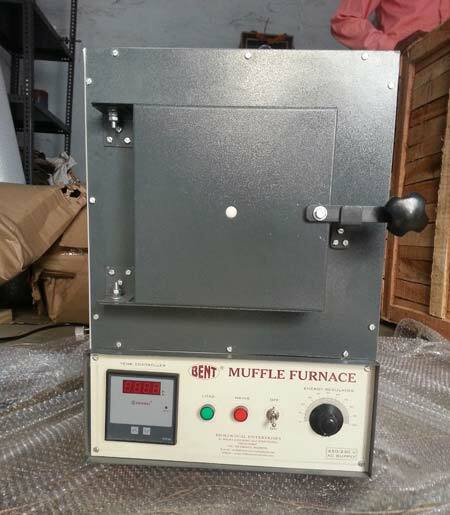 Muffle furnace, that we offer, is fitted with digital temperature controller. The muffle size is 100 x 100 x 225mm.